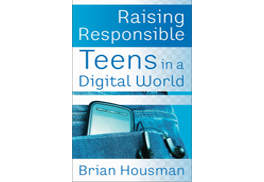 If you are like many parents, the teenage years hit your home like a tornado. In your child’s opinion, you went from being a Zen Master of all things related to life and morphed into their own real world version of Homer Simpson. This child who once was the source of such joy and affirmation in your life now causes you to perpetually live with fear, frustration, or failure—the three “F”s every one of us has experienced as a parent. For about ten years, these “F”s dig their claws into your skin and hang on like a bad friend who never pays for his own lunch. Early on you may have had a rock-solid confidence in your abilities and an appreciation that your child needs you for pretty much everything. Then, in what seems like an overnight flip of a switch, you began to develop a complete and utter insecurity about parenting. You went from being a gourmet chef of peanut butter and jelly, a healer of all scrapes, and a skilled negotiator…to a parent paralyzed by fear. You traded in your expertise and excitement about parenting in exchange for fear and failure. Don’t worry. You are not alone. 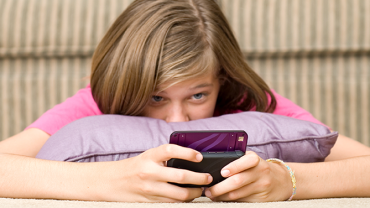 For most parents, confidence is replaced with some level of fear during the teen years. Fear of outside influences, fear of your teenager’s future, fear of screwing up your teen, and fear of your child finding out about your past—these are the toxins that keep us awake at night. One dad with two teenage daughters told me, “I get so terrified sometimes that I feel like I want to barricade the front door and cut all the lines coming to the house.” It is easy to get so distracted by the “what if’s” that you don’t get to enjoy everyday moments with your teen. If your default is not fear, then perhaps it’s failure. Your own failure, your teen’s failure, your spouse’s failure––take your pick. It is remarkably easy for us to become immobilized by failures as parents. 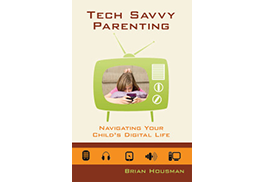 The older your teen gets, the list of things that make you feel like less and less of a success as a parent grows longer. At the end of the week, the checklist of your failures can threaten to rob you of any joy. ❑ I don’t check their phones enough. ❑ I don’t make sure they get enough sleep. ❑ I can’t keep up with all of their friends. ❑ I can’t control my temper when responding to their moods. ❑ I forget to affirm their efforts. ❑ I forget to check up on their homework and grades. ❑ I don’t pray with them anymore. ❑ I don’t make time for significant conversations. Some responsibilities are more important than others, but big or small, failure in the little things seems to paralyze parents. Maybe things didn’t go so well with you and your child yesterday. Maybe things haven’t been good for a while now. Regardless, it does not mean you have to choke down a big dose of guilt at the start of each day. The problem with feeling like a failure as a parent is that it does not easily go away. As long as you want it to, failure is willing to stick with you like an invisible rash that never leaves your side. It is more than happy to remind you that you do not make the cut as a parent. Let’s be honest. Every one of us has struggled with the three “F”s at some point. Whether being slapped around by them from time to time or being owned by them, we all know what it’s like to feel fear, failure, and frustration. The scary thing is when you start believing that this is the way it is supposed to be—as if this is as good as it will ever get with your teenager. If this is you, I want you to hear this truth. This IS NOT the relationship that God intends for you to have with your child for the long term. He has something far more dynamic, life-breathing, and transformative in mind for you. When God gave you the blessing of being a parent, He meant for it to be an experience that would change both your life and your child’s life in order to make you both more like Christ Himself. He gave your child to you so you could both learn a deeper knowledge of Him, a greater dependency on Him, and a truer spiritual intimacy with Him. Here is one of the keys. Here is the reason most parents live with fear, failure, and frustration. Here is why many parents give up and believe this is as good as it gets. We have forgotten part of the process…and it is all about God. God’s desire is for us to know Him and enjoy Him forever. Listen to how the apostle Paul describes the relationship of all things to God. For from him and through him and for him are all things. To him be the glory forever! Amen (Romans 11:36). God created, and it came back to Him. God blesses, and it comes back to Him. God works through all things, and it comes back to Him. God allows failure or disappointment, and it comes back to Him. All of life is intended to be connected to the One who makes all things for His glory. His desire is for you and your child to be connected to Him and follow Him together. When this happens parenting becomes exciting, redemptive, and affirming. Don’t get me wrong, parenting is still hard work––probably the hardest thing you will ever do. But when you are developing a dependency on God, you are helping your child to discover the wonder of God. When you are walking with God together, it is rewarding beyond words. Then the small stuff that leads to fear, failure, and frustration doesn’t seem nearly as strangling. 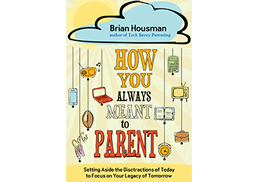 For more on your relationship with your child, check out Brian’s latest book, How You Always Meant to Parent.